Just got a new iPhone 5 and your old accessories no longer work? Most people prefer to use their iPhone when working out instead of having 2 devices. The Splash VELOCITY II Sport Armband case for iPhone 5 is perfect. 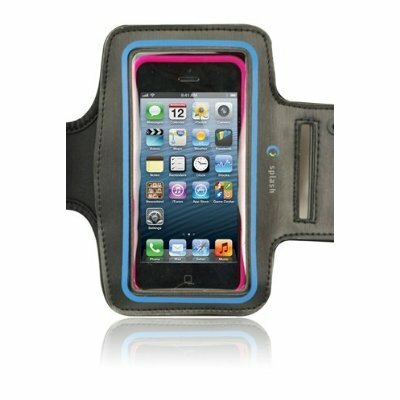 Today I am going to review the new Splash Velocity II Sport armband case for the new iPhone 5. Let me start out with the fact that this armband is both stlyish and comfortable. Probably the most desired traits of an armband case for the iPhone. 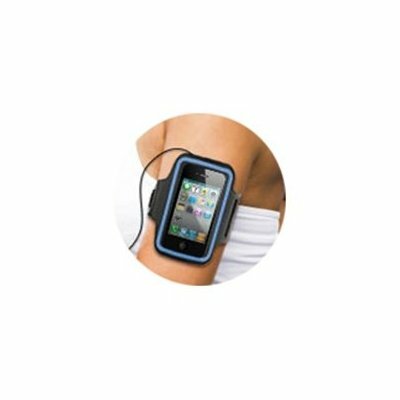 This armband allows the strap to go though two slows which makes it a lot easier to size and is made of Neoprene material. It also has a polyurethane frame and reinforced edges so it will hold up over time. Since it is made out of Neoprene material it feels very comfortable on the arm and allows airflow during workouts and runs. I have use a few different armbands throughout the years and so far this one seems to work the best. All of the others seemed to fall down eventually, most likely due to the weight of the iPhone. The new iPhone 5 is so light and that leads to less resistance and therefor the band never seems to fall down. The straps keep it perfectly in place. Overall I think that this is a great iPhone 5 armband. The iPhone 5’s screen can easily be seen and used while in the case. It is priced competitively. This accessory is really amazing and is very helpful while working out in the Gym listening to some Bump up songs.